A trust is a separate legal entity. It binds two or more persons known as trustees. The trustees control the capital and income (if any) of the trust for the benefit of the beneficiaries. A trust is typically formed by the person who creates it (who is known as the Settlor) declaring the trust in a formal Trust Deed. The underlying concept you must understand is trust property belongs to the trust not the people who personally created the trust. Once the asset has been sold to the trust it is no longer yours. The trust has complete control of the trust property and the income (if any) derived by the trust. You do not personally own the property transferred to the trust. It belongs to the trust. You control the trust by holding the power to remove and appoint trustees. If property transferred into the trust is Land, the title will be in the name of trustees and not the name of the trust. Firstly you must assess whether a trust is a suitable vehicle to meet your objectives. Then you need to carefully consider the advantages and disadvantages including ongoing management compliance costs and administration. Trusts are often created in response to government policies of the day. These policies change over time! Where a trust has been created in response to a current political climate, obviously there can be no certainty the rules will not change again in the future. Trust planning of this nature therefore is not guaranteed! The benefits of setting up a trust are inevitably long term. It is important, if you wish to create a trust, to do so as soon as possible. People operating businesses in their personal capacities or providing personal guarantees expose their personal assets (that is their homes etc) to claims by creditors (for example, a guarantee to a landlord under a lease of commercial premises. In this case the landlord could make a claim against the guarantors personal assets). If you own your own business we advise you to seek advice about protecting your personal assets from creditors. The need for creditor protection is greater the greater the debts of the business! Trusts are one of the best ways of protecting personal assets from creditors, as trust property is put beyond the reach of creditors, except to the extent the trust owes the settlor money and subject to the laws of bankruptcy. Protection is not immediate so the sooner you start the better. Under bankruptcy laws, if it is considered steps have been taken to transfer assets with the intent to defraud creditors, then such a transfer could be invalidated. Whilst you cannot put money in a trust merely to beat existing creditor claims (this would be void under the laws of bankruptcy) there is no harm in planning against the possibility of creditor claims in the future. It is sound risk management. One of the traditional reasons for establishing trusts in New Zealand has been to minimise estate or death duty. At the present time there is no death duty. There is a risk however future governments may re-introduce a similar tax. The death duty issue is a "political football". Only certain types of trusts give protection against the potential reintroduction of death duty or a similar tax (we refer you to the section which discusses different types of trusts). In the 1990s trusts became popular as a result of asset testing of the elderly who needed resthome care. If you needed to go into care, the governments policy (which of course may be subject to change) provided that if a partner or dependent child still lived at home, your house would not be treated as an asset when considering your eligibility to receive government assistance for your care. However if this did not apply (which would usually be the case if your partner had predeceased you) then your home would be treated as an asset excluding you from government assistance. This meant the cost of your care had to be met from your own assets. Transferring the family home to a trust allowed the last partner to obtain government assistance (as the family home would not be owned by the person going into care, but by the trust ... remember the underlying concept that the trust property belongs to the trust). This meant you could pass the family home on to your children rather than have to sell it to pay for resthome care. This protection however is not instant! When applying for a rest-home subsidy it is necessary to declare any gifts made in the last five (5) years. Basically any gifts made in the last five (5) years (apart from the exceptions set out in the brochure Residential Care Subsidy from Income Support) are treated as part of your assets and are taken into account in determining your eligibility for assistance. Gifting is generally an essential part of how a trust acquires assets. Depending on the value of the assets transferred to the trust, it may take several years before the trust property can be treated as belonging to the trust (we refer you to the section which shows How Trusts Acquire Assets). Once an asset has been totally gifted to the trust, it is then necessary (at present) to add a further five (5) years onto the end of the gifting program before the asset will be excluded in determining your eligibility for government assistance. The five (5) year rule is the current policy. There is no legal limit as to how far back they can go. In other words depending on the value of the assets acquired by the trust it may take ten (10) years or more to obtain the desired protection. In the 1990s the government also introduced a surtax on superannuation. By transferring income earning assets to a trust it was possible to avoid the surcharge. At present there is no surcharge. The attraction of trusts for this purpose can therefore be expected to diminish. Creating trusts can produce tax savings. Income (if any) can be allocated to trustees and/or beneficiaries to take advantage of lower tax rates. This is known as income splitting. Income is either taxed in the hands of trustees as trustee income, or in the hands of the beneficiary (if the trustees decide to pay income to beneficiaries). If income is paid to a beneficiary it is taxed at the beneficiaries personal tax rate. Income that is not distributed is taxed in the trust at a higher tax rate. Trusts allow tax free distributions to family members. That is, trust income can be taxed at the higher trustee rate and distributed tax free to beneficiaries. Cash received in this way is not counted as income (under current legislation) for income tests for GRI, education subsides etc. Currently the income tax rates are 21 cents per dollar on income not exceeding $40,000.00, 33 cents per dollar on income exceeding $70,000.00 and 39 cents per dollar over $70,000.00. The tax differential between these rates will mean trusts will again become popular as a means of income splitting. These rates will again change as at 1 April 2009 once the Government has introduced the new tax legislation. Unfortunately, in 2001 the Labour government introduced the Minor Beneficiary Rules which apply to New Zealand residents who are under sixteen (16) years old. In general terms, the Minor Beneficiary Rules means that distributions made to beneficiaries who are under sixteen (16) years old will be taxed as if it were trustee income at 33%. While some exceptions do apply, the practice in the past of splitting income to your children at the rate of 21% is no longer available for under sixteen (16) year olds. REMEMBER IF YOU ALLOCATE INCOME TO BENEFICIARIES WHO ARE ON A LOWER TAX RATE WHEN THEY TURN TWENTY (20) YEARS OF AGE THEY CAN AS OF RIGHT ASK TO BE PAID ANY MONEY IN THEIR BENEFICIARY ACCOUNT! Trusts may reduce or eliminate the effects of a capital gains tax if introduced in the future. The Property (Relationships) Act 1976 came into force on 1st February 2002, and has a major impact on property sharing when relationships (including de facto relationships) come to an end. For a single person (someone who is not married and not in a de facto relationship) use of a trust to hold that persons assets is the most effective way to keep assets out of claims should any future relationships end. People entering second or third relationships can also use trusts to keep assets out of claims from new relationships. In particular in these circumstances trusts ensure assets from the first relationship are preserved for the children from that relationship. For those in existing married or de facto relationships more complex issues arise when setting up a trust structure if certain assets wish to remain as one partys separate property and not relationship property. However, a trust is still an important tool in managing assets in that situation. Currently, it would be prudent to have a Contracting Out Agreement in conjunction with a Trust structure.  If you are already in a relationship, both parties will be required to obtain independent legal advice. Parents who worry their offspring or their offsprings partner might squander the family estate can control those assets after their death through a trust. Provided you have completed your gifting, trusts can be used to allow children to inherit unequally without the risk of anyone contesting your decision. Are there other ways of achieving the same objective? Depending on your reasons for wanting to create a trust, and your particular circumstances there may be other ways of achieving the same result. In the case of income producing assets (such as a rental property) we refer to our comments in the section Further Advice re Income Producing Assets. For example: if your concern is creditor protection then a Joint Family Home may be an alternative available to you. We can provide you with further information about registering a property as a Joint Family Home under the Joint Family Homes Act. (Please note if you own a property (jointly) it is not necessarily a Joint Family Home under the Joint Family Homes Act). This alternative may or may not suit your circumstances. One of the important considerations in deciding whether it is a suitable alternative for you, is the equity you have in your property. As the level of protection from creditors is limited, some of your equity could still be exposed to creditors. If you wish to discuss this further with us, we need to know the approximate value of your property and the amount owing under any mortgage. Your reasons behind setting up the trust, may also be achieved by simply transferring the property concerned directly to family members, for example, your children. This would also involve documenting any debt back (we refer you to the section which shows How Trusts Acquire Assets) and, depending on the circumstances, beginning a gifting program. Once the property is transferred to someone else, your interest is limited to the amount of the debt back. In other words you do not share in any increase in the value of the property over time. Relying on your children looking after your interests. They could if they wished sell the property, without your consent, at any time! There is also the added risk of your children getting into financial difficulty. You are exposing your property to claims by your childrens creditors. You would also want to ensure there is a provision in your childrens Wills allowing you to occupy the property until your death. This would avoid problems in the event one of the children died. There is the risk your children could change their Wills at any time to deprive you of the right to occupy the property until your death. In conclusion with this simple approach you are placing a tremendous amount of trust in the persons to whom the property is transferred! We shall assume for the purposes of this explanation we are transferring a non-income earning property (for example, a family home) to a trust. Usually the settlor sells assets to the trust for full value. (If the assets are not sold for full value this may give rise to a liability to pay gift duty). It is important to obtain a market valuation of the property. We estimate the cost of obtaining a valuation to be approximately $180.00 to $600.00. We can arrange this for you if you wish. Alternatively a local real estate agent can provide an appraisal as to the value of the property, provided the appraisal is signed by the Manager of the Agency. Typically as the trust does not have any money to pay for the asset, the asset is sold to the trust in exchange for a debt. An agreement for sale and purchase is entered into in relation to the sale of the asset to the trust. The debt owed by the trust to the settlor is recorded in a deed of acknowledgement of debt. An advantage is any increase in the value of property after it has been transferred to the Trust, belongs to the Trust and does not have to be gifted away in the future. The debt between the trust and an individual settlor can be reduced by $27,000.00 per year without incurring gift duty. Typically the debt is progressively reduced by $27,000.00 each year until it has been totally extinguished (as previously mentioned, this is why it takes some years before the debt is totally paid off!). The sooner a trust is set up the sooner gifting can begin and the sooner it finishes. The gifting program is documented each year by trustees resolutions, deeds of gift and gift statements on each occasion a further gift is made. The gift statement is filed with the Inland Revenue Department. If there is a mortgage involved these are redocumented, however the loan may not necessarily be redocumented in the trustees names. Where the property belonging to the trust is non incoming producing (such as homes and baches) to avoid complications it is better the loan remains in the name of borrowers (i.e., existing owners). This avoids difficulties of gifting mortgage principal repayments to the trust and any perceived tax problems if interest is paid on behalf of the trust. The trustees would give a guarantee to the bank for the loan and the mortgage would be in the trustees name. The sale of assets to a trust has the effect of limiting the value of the settlors interest in the asset to the amount of the debt owed by the trust (the debt is treated as an asset of the settlor). Any increase in the value of the assets sold belongs to the trust and not to the settlor personally. WHAT ASSETS SHOULD BE SOLD TO THE TRUST? Now you know how the trust acquires assets, the next decision is what assets do you want to sell to the trust? To make this decision you need to consider carefully the advantages and disadvantages including ongoing management, compliance costs and administration. If it is simply a non-income producing asset such as the family home which is sold to the trust the ongoing management compliance costs and administration are less. If you sell an income producing asset such as an investment or a rental property to the trust the ongoing management compliance costs and administration are greater. Since the late 1990s the Inland Revenue Department have become more active in examining trusts. This can be expected to increase as the IRD loses considerable revenue through the use of trusts. One of the grounds for challenging the validity of a trust is on the basis you have continued to use the trust property as your own. In other words the trust has not been treated as a separate entity from its creator and therefore the whole scheme is a sham. A paper trail is necessary as evidence the trust is not a sham. As a result the administrative requirements of trusts is increasing. It is essential all the transactions of the trust are properly documented and records are kept. All decisions, even simple ones, should be recorded at the time they are made. For example, buying or selling assets, borrowing, making gifts and making distributions, should be properly documented by way of a resolution signed by all the trustees on each occasion. Documents and financial records must correspond, be clear, complete and properly chronological. Copies of all resolutions should be kept in a trust folder. We advise the trustees to make and keep a record of an annual review (even though the only asset of the trust may be the family home). We cannot emphasise enough the importance of doing the documents. Failure to do so may be fatal! Your effort and expense of setting up a trust may be wasted! Often the ownership of life insurance policies is transferred to the trust. If insurance policies are not transferred to the trust, this means when the person dies the owner of the policy receives the policy proceeds. Where the deceased is the owner, the proceeds of the insurance policy becomes an asset of the deceaseds estate. This would be detrimental if the purpose of the trust was to minimise death duty. Similarly if the owner of the policy is the deceaseds partner, receiving a substantial insurance claim may be detrimental to the partner particularly if they are elderly and seeking government assistance. The steps which need to be taken in relation to insurance policies depend on the type of policy. If the policy is a term life policy then you simply need to bring with you the original policy document. If however the policy is an investment policy you will need to obtain from your insurance company a letter stating the policys current surrender value so we can correctly document the sale of the policy to the trust at market value. Next we set out the different ongoing management, compliance costs and administration for non-income producing assets and income producing assets. The key underlying concept to remember is a paper trail is necessary as evidence the trust is not a sham. If the trust only owns the family home and does not have any other investments, it will not need to be registered for tax or GST. There will be no income to allocate to beneficiaries. As mentioned above the trustees should make and keep a record of an annual review even though the only asset of the trust may be the family home. Also the gifting program is documented each year until the debt is totally extinguished. In each year you will be required to file further gift statements with the Inland Revenue Department reducing the indebtedness of the trust. Once the gifting program is complete the trustees should continue to make annual resolutions. As mentioned previously when the family home is sold and another property is bought this will need to be recorded in a trustees resolution. Remember the independent trustee should also sign any sale and purchase agreements and other important legal documents. This is consistent with the underlying concept the asset belongs to the trust not the people who personally created the trust. Where the property belonging to the trust is non-incoming producing (such as homes and baches) to avoid complications it is better the seller retain liability for the mortgage debts. This avoids difficulties about the seller gifting mortgage principal repayments to the trust and any perceived tax problems if the seller pays interest on behalf of the trust. If you make improvements to the family home this is effectively increasing the value of the asset owned by the trust. Where the cost of the improvements is met by you personally, to avoid difficulties about you gifting the value of the improvements to the trust and being exposed to any gift duty liability the cost of any improvements should be recorded as a loan to the trust. Our opening resolution records any payments made by you on behalf of the trust for insurance, rates and other outgoings would be treated as an advance to the trustees. Extra care needs to be taken when improvements are made. We repeat the underlying concept, the asset and any income belongs to the trust and not the people who personally created the trust. As the trust is earning income it would need to file a tax return each year. There may also be GST implications depending on what the trust property consists of. If an existing rental property is sold to a trust the seller will be liable to pay tax on the depreciation claimed over prior income tax years. This is known as depreciation clawback. This may be substantial! At a later date when the trust sells a rental property the trust will be liable to pay depreciation clawback. We refer to the tax treatment of trust income by the trustees below. This is the same as for the family home. As with the family home when a property is bought, sold, refinanced or generally dealt with, this should be documented by way of a trustees resolution. In addition where the trust property consists of income producing assets the papertrail will include other resolutions. The trustees make the decision how the income of the trust will be treated for tax purposes. The income can be treated either as trustee income or beneficiaries income. The trustees have six months after the end of the tax year to decide whether the income the trust has earned will be trustees income or beneficiaries income. The decision needs to be made by 30th September each year. This decision must be recorded in a trustees resolution. It is not enough to merely credit the money to the beneficiary account with the intention it be beneficiaries income. Trustees income is taxed at the trustees income tax rate presently 33 per cent. Beneficiaries income is taxed at the beneficiaries personal tax rate. Remembering any income belongs to the trust, before dealing with any money from the trust you must leave the appropriate paper trail. For example if you want to pay for living expenses and the like from the trust income it can be done provided it is authorised by the trustees in a written resolution. The resolution would record whether the payment is repaying the original debt or to be treated as a capital distribution. This means you need to be prepared to have the independent trustee actively involved before any trust income is dealt with. Of course, these resolutions will be ongoing even after the gifting programme is complete. Where the property belonging to the trust is income producing the bank account from which any loan repayments are made in respect of the property, should be changed into the names of the trustees to reflect that the income belongs to the trust and the trustees are liable for the mortgage debt. Any cheques from a bank account in the name of the trust should be signed by all the trustees. To avoid difficulties about you gifting the value of any subsidised payments to the trust and being exposed to any liability for gift duty any subsidised payments (in respect of insurance, rates, taxes and other outgoings in respect of any income producing property including principal and interest payments under the mortgage and improvements) must be recorded as a loan to the trust. A resolution should be made to record payments advanced by the settlors to the trust. These resolutions must continue to be made even after the gifting is completed. If you are considering transferring an investment or rental property which earns income to a trust we recommend you seek our further advice, particularly with respect to structuring your finances to maximise any tax benefits. Assuming the income producing asset is a rental property, if the property is likely to make continued losses a trust is not necessarily the best vehicle to use. If the rental property is sold to a trust, these losses would be locked into the trust and could not be offset against your personal income! This problem can be overcome by setting up a loss attributing qualifying company. This would allow the losses to be transferred to the shareholders to offset against their own personal income. In the case of a loss attributing company the shareholders are required to agree to pay the companys tax. Where the losses continue for a number of years, it is uncertain how long you can continue offsetting these losses before the Inland Revenue Department may challenge the scheme on the basis there is no reasonable expectation of a profit in the future. Once the property is making a profit the shares in the company can be transferred to the trust. The gifting program referred to previously would then commence. Alternatively the gifting program could commence sooner if the trust lent the money to the company at the start. As previously mentioned, if an existing rental property is sold to the trust there will be tax consequences. You will be liable to pay tax on the depreciation claimed in prior income tax years. This is known as depreciation clawback. In conclusion as long as the rental property is breaking even or making a profit a trust is an appropriate vehicle to use. WHO ARE THE PEOPLE THAT PARTICIPATE IN A TRUST? The person who transfers assets to the trust (typically the creator of the trust) is called the settlor. It is extremely important to obtain legal advice if you are not a New Zealand resident for tax purposes. It is the settlor who decides, who are to be the trustees of the trust and specifies what the trust property is to be comprised of. The trustees manage the trust. You need to give some thought as to who you wish to be your trustees. A trust normally has two or more trustees. The settlor is usually a trustee. Typically the trustees are you and a professional independent trustee. You may also have your children and/or a family friend as a trustee. If this is the case we recommend having someone with some business skills. A trust should always have an independent trustee. That is, a trustee who is not related in any way to the settlor and who is not a beneficiary. Typically a lawyer or an accountant. The independent trustee is responsible to the trust and the beneficiaries. We believe it is important that the existence of your Trust stands out like a neon sign. As a result, we use D.G. Trustee Co Limited as a corporate trustee. This clearly signals to any person wishing to place a charge over your property, that this is not possible due to the existence of a trust. This also has the advantage of never dying, unlike a natural person trustee whose death means the title to Trust property must be changed, at further expense to the Trust. Typically trusts are discretionary trusts. This means the trustees have complete discretion as to the allocation of capital and income to the discretionary beneficiaries. The trustees, subject to legislation and the provisions of the trust deed, have complete control over the trust property. They make the decisions and the beneficiaries cannot challenge those decisions except in extreme circumstances. Taking on the role of being a trustee can be onerous. We refer you to the information in the schedule on Trustees Duties. Typically the settlor retains some control by having the power to appoint new trustees. Upon the death of the settlor or the last surviving settlor the power to appoint new trustees is vested in the persons whom the settlor nominates for that purpose in his or her Will and failing that in the surviving trustees. These are the people who the trust may pay out to. Typically the settlors spouse, settlors children and grand-children, any spouses of the children and grand-children, the settlors brothers and sisters and any spouse of the brothers and sisters, the settlors parents, any children of the above and anyone else decided by the settlor during his or her lifetime where the settlor has natural love and affection for that person. The settlor has the power to add and exclude beneficiaries. In the case of a self trust (explained later) the beneficiaries would include the settlor. These beneficiaries have a right to be considered by the trustees for payments from the trust property but they do not have an automatic right to receive payments from the trust. Final or ultimate beneficiaries have a legal right to the trust property on the date the trust finishes. The final or ultimate beneficiaries are normally the settlors children with provision for grandchildren if a child dies before the trust finishes. your trust will be irretrievably contaminated by virtue of the tax rules relating to association. In either case the trust will be treated as if it were the developer, dealer or builder! The consequences of this, is the profit on the sale of land within ten (10) years of purchase will be taxable (unless it is the family home i.e., the property in which the builder and his or her family live in). This includes rental/commercial investments! It is extremely important to obtain legal advice if any of these circumstances may apply so alternative structures can be investigated to overcome any adverse consequences. WHEN IS THE DATE OF DISTRIBUTION? Every trust must end after a certain period of time, known as the perpetuity period. In simple terms a trust cannot exist for longer than eighty (80) years from the date of signing of the trust deed. Subject to this the trust can be wound up at any time by distributing the assets of the trust pursuant to a unanimous resolution of the trustees. On distribution the trust terminates and all the capital is distributed to the beneficiaries pursuant to the trust deed. A self trust is a trust created by a person for their own benefit as well as other family members. The settlor is a beneficiary of the trust. As previously mentioned one of the traditional reasons for establishing trusts in New Zealand has been to minimise death duty. NOTE: A self trust would be ineffective for death duty purposes if the same rules applied on reintroduction as before. This means the assets of a self trust can be called back into a deceased settlors estate and taxed. As mentioned at the present time there is no death duty. There is a risk however future governments may reintroduce death duty. If death duty was reintroduced, provided the trust deed has a power of resettlement, the assets of the trust could be transferred to a new trust that complies with any new death duty legislation or the terms of the existing trust varied to ensure compliance. There would be costs involved with resettling the trust in the future. (We refer you to our comments below in relation to possible disadvantages of using a single self structure for a husband and wife). Any decision to use a self trust needs to weigh up the impact if death duty was reintroduced. You need to decide whether death duty issues should be compromised by relying on possibly short term promises by politicians. These are essentially two self trusts which are identical as to beneficiaries and in most other respects but where control rests with one person in one of the trusts and another person in the other - most commonly husband or wife. Where the parents of the settlor are prepared to change their wills, the inheritance which the settlor may receive from his or her parent can be paid to their respective trust and controlled by them. In most cases it would be inappropriate for inherited property to be paid to a single trust. If an inheritance is paid to a single self trust and then subsequently the settlors marriage is dissolved, one half of the inheritance is payable to the former spouse! If one partner dies the surviving spouse may remarry and have new children. Parallel trusts ensure that assets owned by the deceaseds spouses trust at his or her death always goes to the children from that relationship only. A non-self trust is a trust where the person creating the trust is a trustee and the trust is for the benefit of other family members. The person creating the trust is not a beneficiary. As the creator of the trust is not both a trustee and a beneficiary, such a trust may be effective for estate duty purposes. IF YOU CREATED THIS TYPE OF TRUST, YOU WOULD NEED TO BE SURE, YOU WOULD NOT NEED TO ACCESS THE ASSETS THE SUBJECT OF THE TRUST PROPERTY IN THE FUTURE AS YOU ARE NOT A BENEFICIARY. As it is hard to predict what the future may bring as far as changes in your life and/or legislative changes, either a self trust or parallel trusts are likely to give more flexibility as long as estate duty is not of overriding importance if it were reintroduced. Mirror trusts are basically two non-self trusts, usually but not always, created by a husband and wife. Basically the husband and wife each set up a trust for the benefit of the other spouse and other family members. In other words the wife is the beneficiary of the husbands trust and vice versa. IF YOU CREATED THIS TYPE OF TRUST, YOU WOULD NEED TO BE SURE YOU WOULD NOT NEED TO ACCESS THE ASSETS THE SUBJECT OF THE TRUST PROPERTY IN THE FUTURE AS YOU ARE NOT A BENEFICIARY. * Not for your own benefit! Danger cannot access later! * Dont pay inheritance to! The trust deed is governed by the law of New Zealand. Extreme care needs to be taken if you or any trustee of your trust plan to move to Australia to reside permanently. They have a capital gains tax regime which is extremely complex. We can discuss with you the appropriate type of trust and what assets to sell to the trust. We need to know the market value of the property to be sold to the trust. For this a local real estate agents appraisal (to be acceptable to the IRD this must be signed by a principal of the real estate firm. An agent who is not a principal will not be acceptable to the IRD) or valuation is required. We can obtain this for you if necessary. We need to know the amount of any loans secured against any property. Are they personal or business loans? In the case of insurance policies if the insurance policy is an investment type policy we need a written letter from the insurance company advising the surrender value of the policy. What you wish to call your trust? Who you wish to be the trustees and in particular the independent trustee? Read the following information about your Will - Making a Memorandum of Wishes. Give this some thought. If you are interested in discussing your circumstances with us in more detail we invite you to contact us to arrange a convenient time to meet with you. It follows from the underlying concept that property owned by the trust belongs to the trust (not the person who personally created the trust.) that when you die, your Will will only cover your other assets which have not been sold to the trust. Therefore where a family home has been transferred to a trust or trusts it is not yours to dispose of under your Will. The trust deed provides upon the death of the last surviving settlor (or the creator of the trust) the power to appoint new trustees is vested in the persons whom the settlor nominates for that purpose in his or her will, or failing that in the surviving trustees. We recommend you nominate a person having the power to appoint new trustees in your will. It is important to forgive any debt owed to you by the trust. If you do not forgive this debt then it becomes an asset of your estate. If your will leaves everything to your surviving spouse then your surviving spouse would inherit funds which may not be in his or her best interests. This may defeat what you set out to achieve! SHOULD I LEAVE MY ESTATE TO FAMILY OR TO MY TRUST? It may be appropriate to leave all of the assets to your trust. Generally on the death of the sole settlor or both settlors the trustees would wind up the trust distributing the assets to the settlors children, grandchildren or other agreed beneficiaries or however you wish. In many cases, due to the age of the children on the settlors death, they may wish to continue the trust for the benefit of say the settlors grandchildren. Due to the discretionary nature of the trust there are considerable options. SHOULD MY PARENTS AND FAMILY CHANGE THEIR WILLS? It is important you seek legal advice about the impact of the Property (Relationships) Act before transferring any inheritance to a trust. You do not want to inadvertently loose half your inheritance should you separate in the future. If the inheritance is of a sufficient size, you may choose to create another trust for the benefit of family members other than your spouse. Next you should set out your wishes on your death in a memorandum of wishes to your trustees. A memorandum of wishes is used by the trustees as a guide to your wishes. You can change your wishes at any time. A memorandum of wishes needs to be tailored to your family circumstances and wishes. You are free to make your own memorandum of wishes. Basically any jointly owned assets (e.g., household effects) are automatically left to the joint survivor. Generally speaking the interests of the surviving spouse would be paramount, so that if the surviving spouse down sized the family home, the capital fund created would be available for that spouse. It is possible in the memorandum of wishes to specify your wishes should the surviving spouse remarry after your death (you should at least make your wishes in this regard known to your trustees). On the death of the surviving spouse, the trust or trusts would be distributed equally to any surviving children. Depending on the age of the children at the time the surviving spouse dies, a distribution to them may not be in their best interests. For example, they may be at retiring age, and receiving a substantial cash distribution may be detrimental. Typically the trustees would then exercise their discretion to drip feed funds to those beneficiaries depending on their circumstances and ongoing needs. If it is simply the family home which is owned by the trust then the first example may be appropriate for your circumstances. If the trust or trusts own substantial assets then considerably more thought needs to be given to the contents of your memorandum of wishes. Rather than make distributions to children upon the death of the surviving spouse, if there is substantial trust income, you may prefer to drip feed funds to the children. In this regard we refer you to the second example. Like wills, memorandum of wishes should be reviewed regularly as peoples situation inevitably change over time. As previously mentioned taking on a role as a trustee can be onerous. Trustees cannot do anything they want with the trust property. They have powers which allow them to do certain things and duties which must be observed. Trustees must ensure they fulfil their functions with diligence. Beneficiaries may call the trustees to account, so it can be established whether the trustees have discharged their obligations to the beneficiaries. The Trust Deed may alter this duty in the case of a small Family Trust where the main asset is the family home. Obviously it would not be in the beneficiaries interests if the house was sold to diversify the investment portfolio. (f)It is most desirable that trustees also record by way of minute the major decisions they make for the trust. This is simply a general guideline identifying the major aspects of trust administration and decision making. In summary, if trustees act prudently, carefully and in good faith they should not be vulnerable to claims by beneficiaries.